Though Red Hat Linux and Microsoft Windows are currently prevalent on the market, Unix is making a comeback as a viable web hosting solution. The platform offers all the power and stability of Linux at a price that is often considerably cheaper than Windows. Many web hosting operations are currently run on Unix-based systems that range from Mac OS X to FreeBSD. 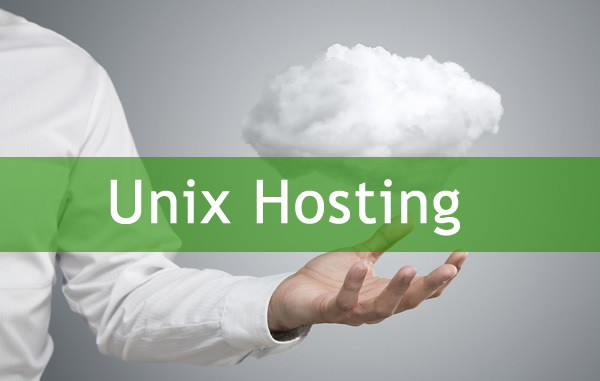 While these platforms are great alternatives, this article will give you five reasons why Unix itself makes a great choice for your hosting needs. Unix is arguably the most dependable operating system for the network server and web hosting environment. The platform has thrived for more than 30 years and has been tightly integrated with the internet since its inception. Although other systems have received worthy improvements over the years, Unix is a time-tested platform, offering the power and flexibility needed to meet a wide range of hosting needs. During its tenor in the hosting industry, Unix has proven to be notably faster than other operating systems. It also has a reputation for having the ability to create the most secure hosting environment imaginable. These qualities have made it a mainstay in the world of corporate business and e-commerce. Perhaps the greatest benefit Unix offers is its high level of stability and performance. Unrivaled processing power and a rock-solid core makes it an ideal choice for simple web pages and complex applications alike. While Microsoft Windows offers a graphical icon-based interface for added simplicity, Unix has no GUI at all. This dramatically reduces overhead and allows the system to dedicate the full power of the hardware to quickly and efficiently serve web pages when they are requested. Even in a shared hosting environment, Unix is virtually impervious to server crashes or any types of faults caused by administrative errors dues to its user-level permission structure. When used as a platform, it can help create a fault-tolerant web server with the ability to prevent potentially damaging processes, thus enabling your website to continuously run smoothly. Being a veteran server operating system, the Unix platform is largely supported by software developers and vendors. The software integrates seamlessly with Apache, PHP, Perl, MySQL and other web technologies commonly used with Linux. It also offers full support for Microsoft FrontPage, a web design and management tool that was once only available in Windows-based hosting plans. Thanks to compatibility enhancements, FrontPage can now run flawless on both Windows and Unix servers alike. Several have the misconception that Unix is an open-source operating system. This is not true. In fact, its source code is under license with numerous vendors and much of the core remains proprietary. However, Unix hosting still tends to be affordable because of its integration with free and low-cost open-source products. And while naturally a more complex system, this platform is just as user-friendly in the typical shared hosting environment as Windows or Linux. Therefore, it does not matter if you are an inexperienced webmaster or a novice, Unix hosting can offer all the power or simplicity you need to succeed with a website.